In today’s society, the stakes are high for parents who desire to raise students who are not only academically prepared but who have a strong moral compass and a sense of purpose. A critical choice is the environment in which your student will spend 35-50 plus hours per week. What kind of adult mentors and peers do you want impacting your student during these many hours? High school is one of the most significant times in life in terms of shaping a person’s self concept, values, and goals. These years are the most formative in determining the person your child will become—how he/she defines “success,” negotiates life’s storms, and finds the motivation to lead his/her life. Your child’s spiritual growth is our top priority. Not all students who come to The King’s Academy are believers in Christ. We seek students who have teachable hearts and coachable spirits. Relational ministry is the gateway through which God can work in a student’s life. Students who have been grounded in the truth of God’s Word day after day during their formative years are better-equipped to handle discrepant ideas upon graduation. 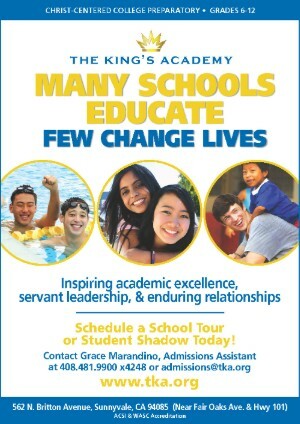 At The King’s Academy, we offer regular and numerous opportunities for service that allow students to discover the pleasure of helping others and what it feels like to participate in something larger than themselves! Your child will be asked to contribute to aiding the world at large through service projects and mission trips. At The King’s Academy, teachers and staff have a passion to know the heart of your student and build relationships, both inside and outside the classroom. Additionally, the smaller student body, low student-teacher ratio, and parent involvement at TKA gives students the support and encouragement students need to grasp complex academic concepts, work to their potential, and get involved on campus. Your child will not be lost in a crowd. The King’s Academy tests all applicants to be sure students are performing at grade level or higher in order to handle the college prep level and pace of instruction. 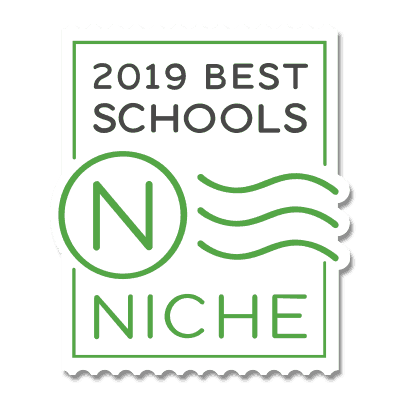 Once in high school, students who have demonstrated capability may select from 13 Honors and 12 Advanced Placement (AP) Courses for further academic challenge. At TKA, there is strong emphasis on skill building, in addition to content comprehension, so that students graduate equipped for college and work. 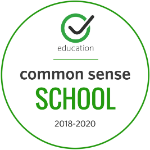 They will learn and practice organization and study skills, critical thinking skills, effective oral and written communication skills, collaboration and teamwork skills, and much more. View our curriculum and course catalog to read more specific information about the academic program. TKA's 6th grade program is very special and a cornerstone of The King’s Academy experience. This is the beginning of what we hope are seven cumulative years of relationship building among classmates and with the staff. Our students often speak lovingly, and longingly, of their 6th grade year. What makes it so special? Read details about our 6th grade program! Please read the “Frequently Asked Questions About Sixth Grade” for more information. At The King’s Academy, we see a lot of positive peer pressure with kids supporting each other to achieve academically, grow spiritually, and become involved in the many extracurricular activities offered. We have high standards about who is admitted to The King’s Academy, and high behavioral expectations, supported by rules which promote self respect. TKA offers a much safer emotional and spiritual environment where students can feel accepted for who they are. Verbal insults and bullying, things that go largely overlooked in a public school setting, will not be tolerated. TKA is ASCI accredited. Read why ACSI Schools are The Best Choice for Your Child! Faced with the knowledge that the decision you make today about your child’s education will have a life-long impact, it is a choice that requires prayerful consideration.